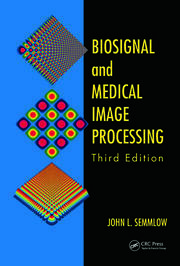 Medical image analysis using advanced fuzzy set theoretic techniques is an exciting and dynamic branch of image processing. Since the introduction of fuzzy set theory, there has been an explosion of interest in advanced fuzzy set theories—such as intuitionistic fuzzy and Type II fuzzy set—that represent uncertainty in a better way. 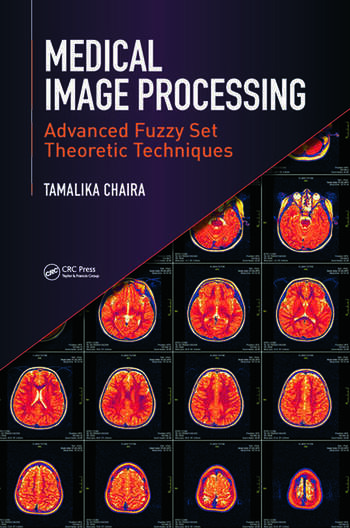 Medical Image Processing: Advanced Fuzzy Set Theoretic Techniques is useful not only for students, but also for teachers, engineers, scientists, and those interested in the field of medical image analysis. A basic knowledge of fuzzy set is required, along with a solid understanding of mathematics and image processing. Tamalika Chaira is a research scientist in the Department of Biotechnology, Government of India, and the Indian Institute of Technology Delhi, New Delhi. Previously, she was a research associate at the National Research Council (CNR), Pisa, Italy. She holds a bachelor’s degree from Bihar Institute of Technology, Sindri, Jharkhand, India; a master’s degree from Bengal Engineering and Science University, Shibpur, Howrah, India; and a Ph.D from the Indian Institute of Technology, Kharagpur, West Bengal. She is an author of the book Fuzzy Image Processing and Applications with MATLAB, as well as numerous papers. She also received the prestigious National Award (Innovative Young Biotechnologist Award, 2010) from the Government of India. 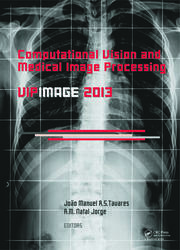 "The book treats the most commonly used fuzzy methods in medical image analysis. It does focus on widely used approaches and refrains from methods, which are still under investigations. This increases its value for practitioners, senior students and young researchers… Clearly. The book has been written by a dedicated professional (I do not know the author and have never met her). It should be on the desk of everybody who works on medical image analysis and researching the potentials of fuzzy systems." "This book focuses on the application of clustering algorithms based on intuitionistic fuzzy set model [s]and their application in segmenting and analyzing medical images. …I would like to keep a copy of the book on my shelf. 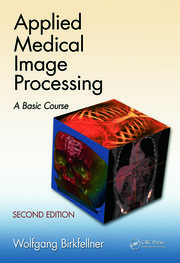 "Among the characteristics that make the book Medical Image Processing: Advanced Fuzzy Set Theoretic Techniques a valuable addition to the library of both the medical image processing student and the experienced practitioner, is the detailed and self-contained nature of the subjects treated in each one of the chapters of the book. Moreover, the examples that accompany the theoretical notions of the book, as well as the MATLAB code supporting the applications of fuzzy sets in the area of medical image processing, are of paramount importance for both the novice and the experienced reader.